If you have taken a walk and would like to return home you need to have an idea of where you are in relation to your destination. To do this, you need to know which way you are facing and also in which direction home lies. This all seems fairly instinctive to humans and other animals, so how do we manage it? Our understanding of this surprisingly difficult question has just taken a step forward in a new paper written by Michael Chadwick and colleagues and published in the journal Current Biology, which pinpoints where in the brain our instinctive sense of the direction towards our destination lies. One way to successfully navigate from any point to a destination is to learn and remember information about your surroundings and use this information to orient yourself. But the process of learning this spatial information suggests there must be some sort of representation of that information stored somewhere in the brain. This could be thought of as a sort of neuronal map – a way of encoding space that maps information about your surroundings onto your brain cells. Such a map would allow you to find your way around – a vital ability for any animal’s survival. Working out how the brain stores information about space and how this enables us to find our way around efficiently has been the focus of a concerted effort over the past few decades. In the late 1970s, the so-called “seat of the cognitive map” was discovered in rats in an area of the brain called the hippocampus. Particular neurons were shown to fire when a rat travelled in a specific area of an experimental arena. Subsequent work showed that these neurons were tightly coupled to space – they were named place cells. The question then turned to the nature of precisely what information is learned and remembered. Through a clever set of experiments the rats were found to encode and store information that related to both distance and direction. Information about distance is stored within part of the hippocampus called the entorhinal cortex, the so-called grid cells. These grid cells fire in a tessellating pattern when an animal travels and seem to operate a bit like graph paper, providing an animal with a sense of the distance travelled. Information about direction is stored in head direction cells, which fire when an animal is facing a particular direction (north, for example). All these pieces of information are fed into the place cells, which bring it all together – hence why we really can consider the hippocampus to contain our own internal, spatial map. This was so significant to our understanding of how the brain operates that the 2014 Nobel Prize in Physiology was awarded to John O’Keefe, who was the first to identify place cells, and Edvard and May-Britt Moser, who discovered grid cells. So we have an idea of how animals encode a mental map, and how they know which direction they are facing. But, to make use of this and follow its sense of direction, an animal also needs to know in which direction home lies. The paper’s authors have established where this information is stored in the brain, and how it might be used to orient a human or animal. 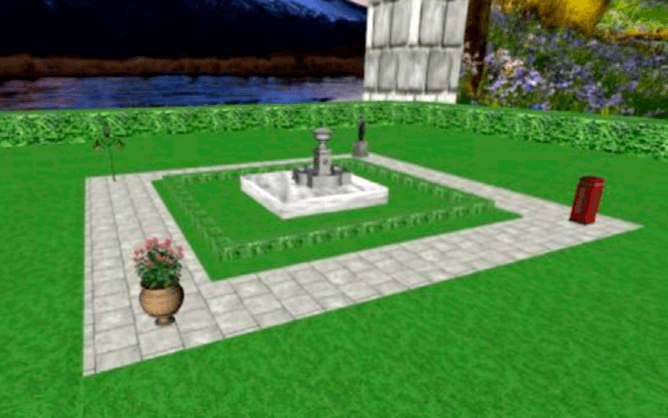 In their experiment, human subjects were given a virtual reality environment to explore and learn, and then asked to make judgements about in which direction a destination lay working entirely from memory. At the same time the subjects&apos; brains were scanned using fMRI, which measures brain activity by monitoring changes in blood flow. By looking at the patterns of which neurons fired in response to the task of navigating their way around, the researchers found the activity was centred on the entorhinal cortex, indicating this was the brain’s “internal compass” and the source of this sense of direction. Interestingly, the pattern of neuronal firing is remarkably similar when someone is facing in the goal direction to when they simply imagine the direction of the goal. The researchers suggest that the brain can use this property of the neurones to simulate the intended direction in the brain without actually moving. They assume that head direction cells switch from one role to another, so that they are initially involved in representing the current heading direction, before switching to simulating the goal direction. In this way, the neurones can aid in planning the route home. 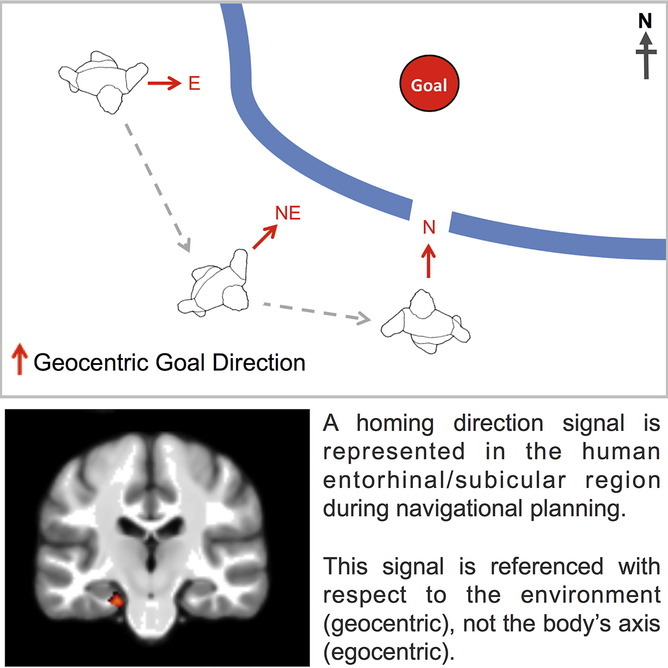 The strength of the activity in this region of the brain is linked to a person’s navigational skills: less activity means a less accurate sense of direction. It’s also the area of the brain that is one of the first damaged by diseases such as Alzheimer’s, which may explain why becoming lost and confused is a common early problem in sufferers.